강습 돌파의 목적으로 기획되어 1943년 가을에 설계가 끝났다. 실제로 완성된 시제품은 없었으나 이 기획안은 또 다른 중 강습차량인 A39 Tortoise 개발을 위한 발판이 되었다. 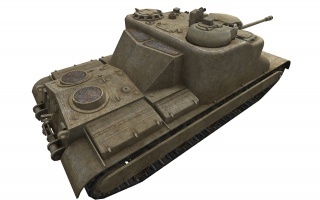 Like its predecessors, it has amazing armor values and rapid firing guns with poor alpha and mobility. 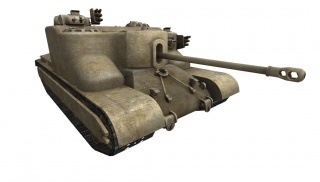 However, despite the armor being thicker than its predecessor, the AT 7,peers at tier 8 and higher will have no issues in finding frontal weak spots, thus reinforcing players to more passive methods of game play. This can be good preparation for higher tier matches where your armor will rarely save you. A wide gun arc on this tank allows for good angling if you do fight enemies head on. With proper positioning and angling, no enemy tank will want to face against you for too long, in fear of being punctured to death via the high rate of fire. Much like its predecessors, the AT 15 has great armor values on paper. This is far from the true reality as this applies only to the flat surfaces on your front; the sloped sections are roughly around 100-120mm thick. While this is still good armor, a lot of tanks around your tier can easily penetrate it, so unlike its predecessors, the AT 15 will see a lot more time supporting the frontline rather than being directly in it. While angling works some wonders with this tank, keep in mind that your gun mantlet is actually a massive weakspot; it is only around 100mm of spaced armor behind which is nothing but your gun and crew, so smart enemies will always likely penetrate you in close quarters. Your machine gun turret is also a weakspot, and hits to it will often injure one of your loaders. It has pretty much the same top gun as the AT 7, the OQF 20-pdr AT Gun, however the AT 15 gets an upgraded version that has improved RoF, accuracy and aim time. This means that while you can't sit and expect to soak up shots, you still retain that spammy firing playstyle typical to British TDs. Though the AT 15 can function adequately as a sniper, artillery remains an issue however since this tank is especially vulnerable to it. This puts the AT 15 in a tricky spot as while it has a gun that promotes remaining in one spot while laying down a lot of fire, it doesn't have adequate armor to safeguard it while doing so. This puts it in between a dedicated sniper and a support for frontlining heavies. 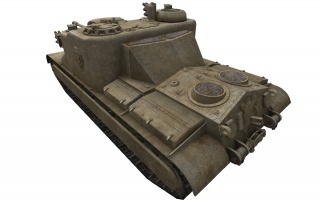 The AT 15 sometimes sees tier 10 battles, which can pose a significant challenge because it does not have the penetration to easily damage all enemies, the mobility to flank them, or the armor to regularly bounce their shots. Try to position yourself in a place where they will be forced to expose their side armor to you, and if that fails try to use your excellent accuracy to hit their weak points. Premium ammunition will mostly negate this weakness if you can afford to use it. You should have the OQF 20-pdr AT Gun Type A Barrel unlocked from the AT 7. This can be equipped with stock suspension, so do so. However, you won't be able to equip many modules this way so research the suspension first. The first engine upgrade should come next if you don't already have it from other lines, as it's cheap to research and will help with your acceleration and climbing up hills. After this is done get the B barrel gun; while costly for the small improvements, it carries over to the tortoise. The 32-pounder is a mostly a 'throwaway gun' as the meagre increase to alpha damage does not make up the for loss of the other stats compared to the 20-pounders. 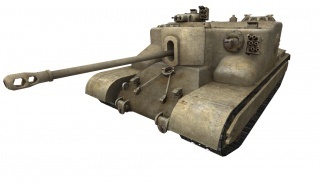 You will need to unlock this regardless to proceed to the Tortoise though, but if you had grinded through the Churchill GC before this gun should already be unlocked. The final engine can actually be skipped as you get it for free by unlocking the tortoise and does not really offer a noticeable improvement. The SR C42 radio can be researched to elite the tank afterwards if you want, 50 more signal range will barely be noticed. The AT 15 was a Nuffield design suggestion from September 1943. After numerous experiments with asymmetrical design, army insisted on a vehicle with a gun mounted on the central axis. With AT-15 guidelines that will emerge A39 Tortoise were more then visible. 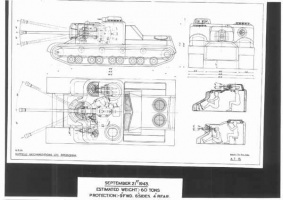 Final proposal had 152 mm of sloped armor on the front, and 100 mm on the sides. Main armament consisted of the famous 17-pounder gun, which was at the time considered enough to penetrate any German armor it stood against. AT-15A was a slight modification of the project that was some 5 tons heavier. 이 문서는 2014년 11월 19일 (수) 12:24에 마지막으로 바뀌었습니다.